Rays Music Exchange evolved from a pure soul and funk band to a multi-faceted instrumental powerhouse in the Midwest U.S. and beyond, blending their far-reaching influences into a cohesive sound is truly at home in live performance. RME combines the soundscapes of modern composers like Steve Reich and Frank Zappa, the jazz fusion of Miles Davis and Weather Report and the danceability of James Brown and The Meters. By the year 2000, Rays’ was a full-fledged touring machine, reaching crowds all over the country and becoming an award-winning and highly sought after act on the Jam Band festival circuit. They challenged that audience’s ears along with their perceptions of what improvised music could sound like. 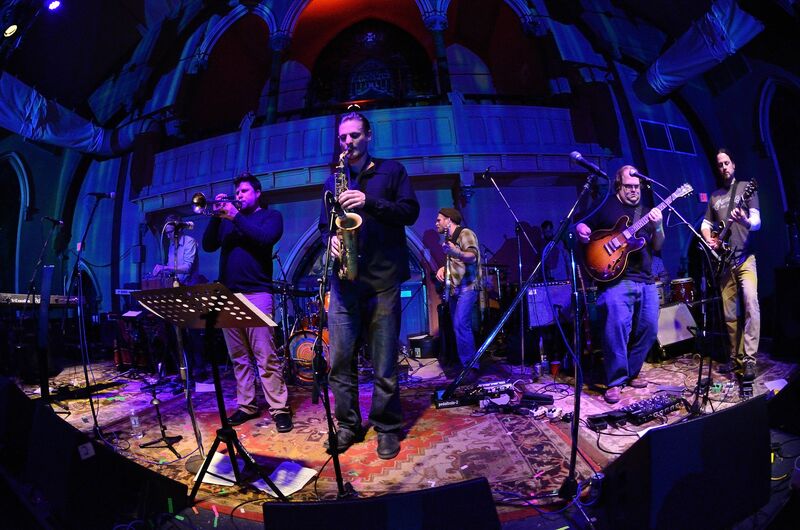 They brought guided (or conducted) improvisation into the standard open jams that in turn influenced close friends and musical compatriots Umphrey’s McGee. 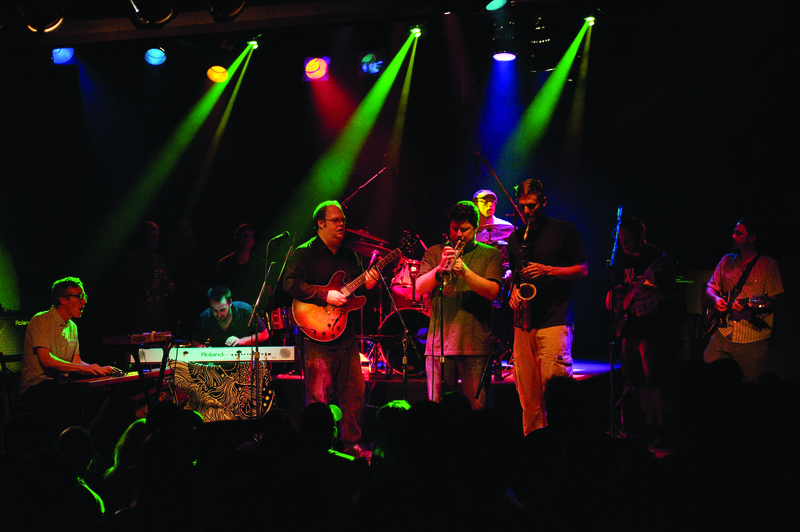 After releasing five independent CDs and traveling the country, in 2006 the band wound down touring activities and when on hiatus as members were splitting time with other touring acts such as the Jazz Mandolin Project and Jacob Fred Jazz Odyssey and pursuing other musical interests. In 2010, 14 past members of the band reunited for a sold out concert and recorded the event for a live concert DVD “A Live Rayunion” which stands as the best representation of the band to date. Since then, they have released their entire catalog online and begun work on a new studio release that will be the first collection of new material in 10 years. Ray’s Music Exchange is available for concerts, festivals and improvisation workshops worldwide.